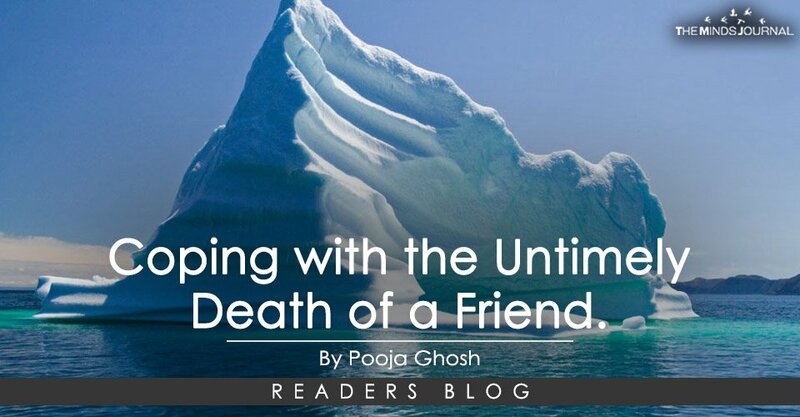 Coping with the Untimely Death of a Friend. Day1– HE was admitted to the hospital, put on life support right away. Day2– HE was unresponsive, with a damaged brain stem. Day3– HIS organs had been donated. There wasn’t much time before, but now, there was so much of it. I had often contemplated how, by turn, each of my friends will walk out this world. The rest of us (then) wrinkly lot will dwell in the memories. But I was in my late twenties, slaving in a beautiful yet toxic workplace to pay my bills and build my skills, when it began. Real world stuff, you know. My group of friends is highly diasporic. Catching up for a coffee doesn’t happen enough. HE literally dropped dead, far from us. It hurt because, we couldn’t feel all of it in one swift motion, unlike HIM. From various geographical points, calls came in, as we tried to make sense of it. HIS friend. HIS childhood love. HIS classmate. HE was everywhere, yet nowhere. Maybe stress, the doctors had said. It could have been anything. There was a funeral of sorts, far from his home. Some friends and some parents of friends that had known him. We shared fond memories. The parents spoke of what they thought happens after death, with an edge of authority. We nodded. We lauded a few cancer survivors among us. Then the parents vented a bit about the clinical approach of health insurance companies towards death. My friends and I confessed our work keeps us busy. We neglect our health. We don’t share our problems as friends should. We didn’t know why, but I think we did. We liked to pretend we’d always be young and healthy. The world wouldn’t corrupt us- we wouldn’t stand that. The snacks arrived. HIS best friend never did. We discussed, as we penned good wishes on a huge board for HIS parents, how optimistic the friend had been till the end. And then, radio silence. He was flying out to Spain the same night, to start a new life. Maybe, that’s why he wasn’t here. Mourning was easy, living in a room in an apartment of seven faceless people, everyone locked up in their rooms. I buried my face in the pillow, crying, wondering. HE was gone. We were still here. But HE was gone. And we were still here, looping our thoughts in a little coffin. Outside my window a vast expanse of the Marina spread out. Skyscrapers, lakes and lies. The most beautiful part of the city, where all the validation exists, all of my own priviledge staring back at me. What if one of us died in this pretty house full of faceless people, locked up in front of our computer screens? How long before anyone found out?